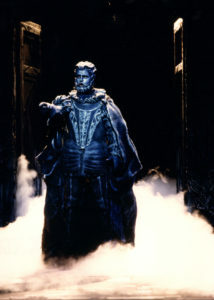 The combination of John Marcus Bindel’s vocalism, musicality and acting skills makes this two-time Grammy Nominee a “real presence on stage” (The Denver Post) at such theatres as Washington National Opera, Lyric Opera of Chicago, Santa Fe Opera, Florida Grand Opera, Opera Company of Philadelphia, Nashville Opera, Florentine Opera, New York City Opera, Dallas Opera, Hawaii Opera, Palm Beach Opera, New Orleans Opera, Spoleto Festival (USA and Italy), and many more. His already vast repertoire of 90+ roles includes Don Alfonso in Lucrezia Borgia, Don Giovanni, Ramfis in Aïda, Claggart in Billy Budd, Escamillo in Carmen, Iago in Otello, Ferrando in Il Trovatore, Blitch in Susannah, Jochanaan in Salome, Hagan in Götterdämmerung, Klingsor in Parsifal, Fasolt in Das Rheingold, and Hunding in Die Walküre. He has rapidly made a name for himself on both sides of the Atlantic. Mr. Bindel made his European debut with Oper Altenburg and has performed Il Trovatore with the Opera de Bellas Artes in Mexico City, and in Salome at the Teatro de la Maestraza de Sevilla and the Baltic State Opera. He sang the role of Don Marco in The Saint of Bleecker Street with the Spoleto Festival in Spoleto, Italy, which was recorded on the Chandos label, and received a Grammy Award Nomination in 2002. Since his debut at the Washington National Opera in 1995, the critically acclaimed bass-baritone has returned numerous times to perform in Aïda, Billy Budd, Andrea Chenier, Carmen, Rigoletto, The Crucible, Romeo Et Juliette, El Gato Montes, Il Trovatore, Simon Boccanegra, Don Giovanni, I Puritani, Boris Gudonov, Parsifal, Salome, Pique Dame, The Consul, I Vespri Siciliani, Das Rheingold, Lucrezia Borgia, and Peter Grimes. He also joined the Washington National Opera on their tour in Japan during the summer of 2002, singing in Sly and in Tosca. The outstanding performer made his Carnegie Hall debut in 2002, as the bass soloist in the Messiah. His orchestral repertoire includes the Requiems of Verdi, Mozart, Fauré, and Duruflé; Beethoven’s Symphony #9; Handel’s Messiah; Schubert’s Mass in G; Brahms’ Neue Liebeslieder Walzer; Handel’s Utrecht Te Deum and Jubilate; Dubois’ The Seven Last Words of Christ; and Richard Einhorns Voices of Light which he debuted with the National Symphony Orchestra. John Marcus Bindel was a regional finalist in the 1995, 1997, 1998 and 1999 Metropolitan Opera National Council Auditions. 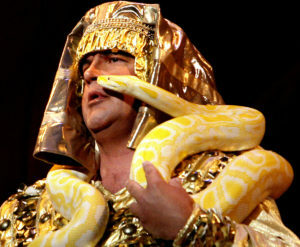 In 1999, Mr. Bindel was a semi-finalist in Placido Domino’s Operalia Competition in Puerto Rico. He is a graduate of Southwest Texas State University, received his Masters in Music from Northwestern University, and was an apprentice with Santa Fe Opera, where he appeared in their productions in 1995 and 1996.